Amber from Crazy Little Projects has some great tutorials for hooded towels and this one has to be my favorite ever! The Mickey Mouse hooded towel! She has a simple way to turn it into a Minnie Mouse towel as well, with the addition of a cute polka dot bow. Hooded towels make bath time with little ones so much easier and with a towel as cute as this your little one might not fight you to get out when bath time is over. 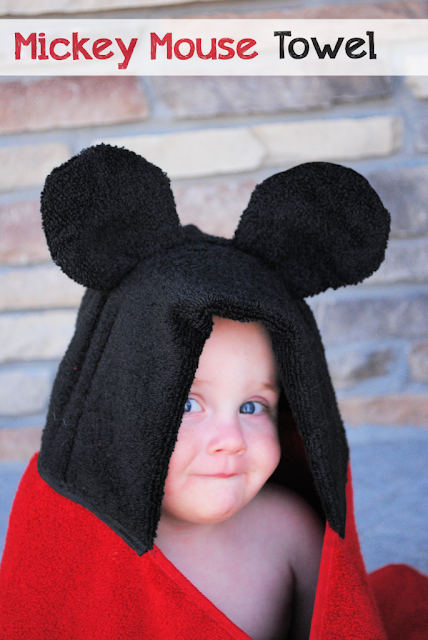 You can check out the tutorial for this Mickey Mouse hooded towel over at A Little Tipsy.